Discussing issues important to those living in the Finger Lakes. Presented by FingerLakes1.com and the FL1 News Team. Hosted by Josh Durso, News Director at FingerLakes1.com. New York State has adopted a $175.5 billion budget. What does that mean for Upstate New York? Well, it has serious implications - as noted by Unshackle Upstate. Unshackle Upstate advocates on behalf of businesses and trade organizations in Upstate New York who are working to create a better, more-favorable environment for development. Michael Kracker, Director of Unshackle Upstate was in-studio discussing the ways his organization are working to correct what the fiscal 2020 budget has created. What do you know about the VA Health System? If you're like a lot of people - particularly not in the VA community - the answer might be <em>not much</em>. That said, there's a lot to know about the services provided at local VA clinics. Particularly, those in the Finger Lakes, which are providing unmatched services to those who have given a great deal to the United States. In this conversation, we explore the services being provided by the VA health system, how those services are evolving, and how they're working to build community. Brian Westlake and Sarah Levis join us from the VA Finger Lakes Healthcare System for this week's episode of Inside the FLX. Representatives from the United States Department of Agriculture were in-studio to discuss rural initiatives, and the volume of funding that's available for projects in rural communities. Whether it's funding an ambulance, hospital expansion, firehouse, town hall project, or many others - the USDA's Rural Development team works hard to bring that information to local leaders. Jim Walfrand, a Community Specialist and Area Director for the USDA’s Western New York Region; and Richard Mayfield, New York’s USDA Rural Development Director joins us to discuss rural development. John Nabinger calls on his experience, as he campaigns to be elected District Attorney in Seneca County. We caught up with Nabinger to discuss the issues, as well as the challenges of running an office in rural Upstate New York. In just a few weeks one of Seneca County's biggest fundraisers will take place in Seneca Falls. The Traveling Little Black Dress Fashion Show will arrive on April 4th and 5th in Seneca Falls, which will be a culmination of community-wide effort to make it a reality. Learn all about it as two organizers sit down in the FingerLakes1.com Studio to discuss how such an incredible event has come together for seven consecutive years. The Fingerlakes Beard Bros have a simple philosophy: Provide the best products - for guys in the Finger Lakes to make the most of their beards. Dustin Bovard and William Hanvey set out on this journey a relatively short time ago. The duo have navigated an emerging marketplace that's dominated by some big brands. Their products are already available in select retail environments - but most of their sales come online at this point. Bovard said the reception from the community has been incredible thus far. "It's been really overwhelming - in a good way," Bovard explained during a chat inside the FingerLakes1.com Studio. "The community - friends, family, acquaintances, and even strangers - are buying into our products because they're affordable and high-quality." One of the easiest and fastest ways to improve the community is through family. The Fatherhood Connection</a>, founded by Reggie Cox, has spent years connecting fathers with the skills they need to be proactive, strong parents in a variety of environments. Reggie says that the basis for the faith-based effort is 'availability'. Being available, as he proudly said during a recent appearance on Inside the FLX, has a profound impact, and makes a big difference on that child's life. He says the research backs it up, too. The aim of the Fatherhood Connection is to help fathers become the parental figures their children need them to be. Reggie Cox was joined by Tracy VanVleck, Commissioner of Human Services; and Don Black, a mentor within the program, who has been an advocate for The Fatherhood Connection, who helped bring it to Seneca County. There's no doubt that technology plays a big role in life, but what about education? While some districts have developed rules to push back against technology - particularly social media - others have embraced it. This week Josh Durso sat down with three administrators from the Seneca Falls Central School District to examine the role of technology in a classroom, and how that's developing a more prepared student base, as they enter college or the workforce. Jim Bruni, Administrator of Business and Operations; Jodie Verkey, Director of Curriculum, Instruction, Assessment, and Professional Development; and Amy Hibbard, Principal at Elizabeth Cady Stanton Elementary School joined Josh Durso to guide a conversation on the topic. Christopher Folk says his unique experiences make him the ideal candidate for Seneca County District Attorney. With background in the tech space, plenty of management experience, and time spent in local courts as Waterloo Town Judge - Folk believes one of the keys to being a strong District Attorney is understanding how to grow and become better in the position. That means finding efficiencies within the office, developing better procedures, and of course, prosecuting cases. The local attorney from Waterloo was in-studio this week discussing his platform, looking ahead to a primary, which will be held on June 26th. This is part of Inside the FLX's Election Preview series. 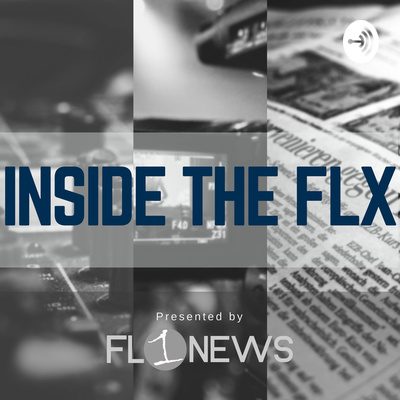 Over the next several months the FL1 News Team will be sitting down with candidates for office, discussing issues, their platforms, and what's at stake for voters. Questions for candidates, comments about coverage, and potential guests can reach the program by emailing insidetheflx@fingerlakes1.com. Food scarcity, transportation, affordable housing, and jobs. Those four items play a big role in the actions of the United Way of Seneca County. The agency acts as a facilitator for a number of other agencies that do real good in the community; and the work being done by the United Way is important. Rhonda Jasper, Executive Director joins Josh Durso on Inside the FLX to discuss all of these issues and so much more. The State of New Jersey recently made headlines when the state's high school sports governing body announced major changes to the way football would be handled moving forward. The New Jersey State Interscholastic Athletic Association passed a bill that reduces in-season full-contact limits from 90 minutes per week to 15 minutes and preseason full-contact hours from unlimited to six. "The image of the 'rub some dirt on it' football coach is really one of the past," said Chuck Klaus, former president and current board member of the NJSIAA executive committee. "They want their kids to succeed, they want them to do well, but ultimately they want them healthy and safe." Reaction has been swift across the country on this issue. While some believe that it's in the best interest of student athletes - others believe its weakening those students. We've attached some reaction to the bill's passage at the bottom of this story. This week FingerLakes1.com sat down with Dr. Robert Anderson, of Finger Lakes Health. He's an expert on concussions, and had a lot to say about the changes in sports like football, but also about the changes coming in the medical community - as concussions become better understood. When Ontario County Sheriff Kevin Henderson succeeded longtime Sheriff Philip Povero, the focus was on transitioning smoothly. Now, more than 50 days after taking office - Sheriff Henderson is establishing himself as a leader, not only locally, but in the region. This week he joined FL1 News Intern Reporter Gabriel Pietrorazio in the FingerLakes1.com Studio to get an update, and to discuss some proposed measures at the state-level that could have an impact on policing locally. In 2018, the CDC produced new, shocking data that showed a 30 percent increase in suicide rates over the last two decades. That increase prompted a lot of discussion, dialogue, and ideas about what could be done differently to improve mental health treatment, services available, and remove stigma. Those efforts are now being realized in a number of unique, exciting ways in Seneca County. Director of Community Services Margaret Morse joins Josh Durso on Inside the FLX to discuss the world of mental health, substance abuse, and much more. Check out more episodes, as well as the video versions of them by visiting www.fingerlakes1.com.